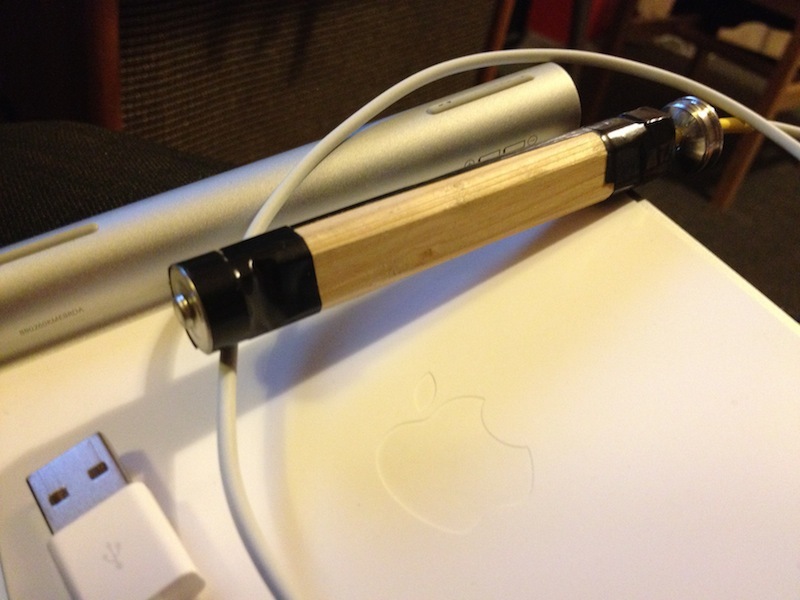 Following my previous post and Johnny USB’s suggestions, I attempted to make a pad for my ‘isolated’ Macbook Pro trackpad. 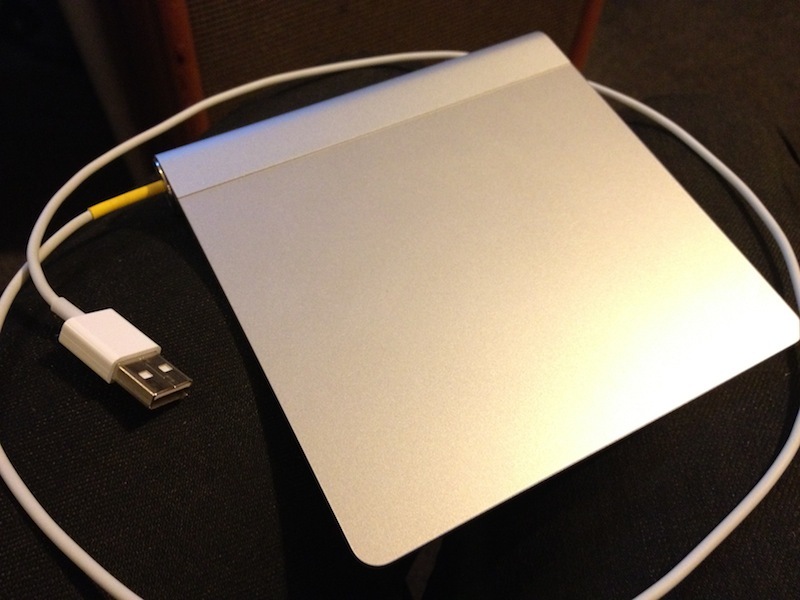 Shortening the USB cable so that the trackpad can be installed as an extension to the Alu Keyboard. Make use of some weird foamy synthetic clay that I had waiting in my fridge for a while as the pad that would allow the trackpad to stand still on my desk. 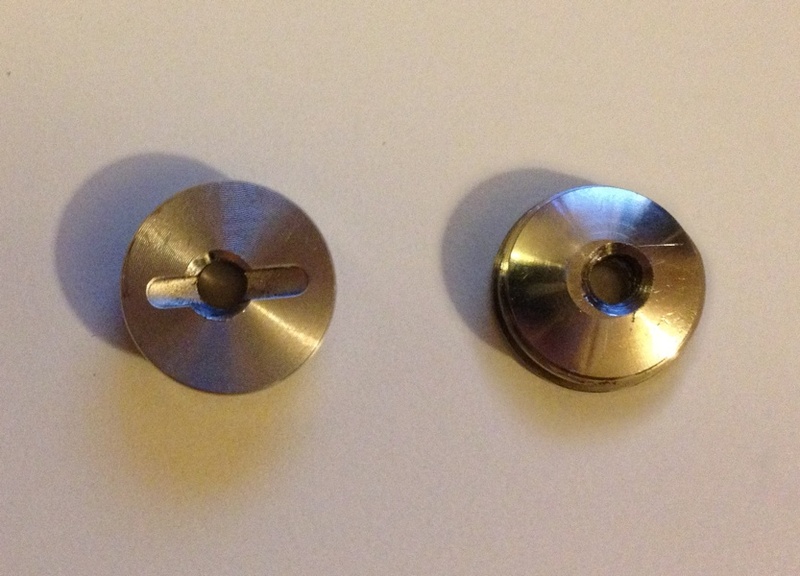 I’ve attached a few pictures bellow to show you the results. A few month back my friend Zaf replaced the top case of his macbook pro and had the kindness to give me his old one. 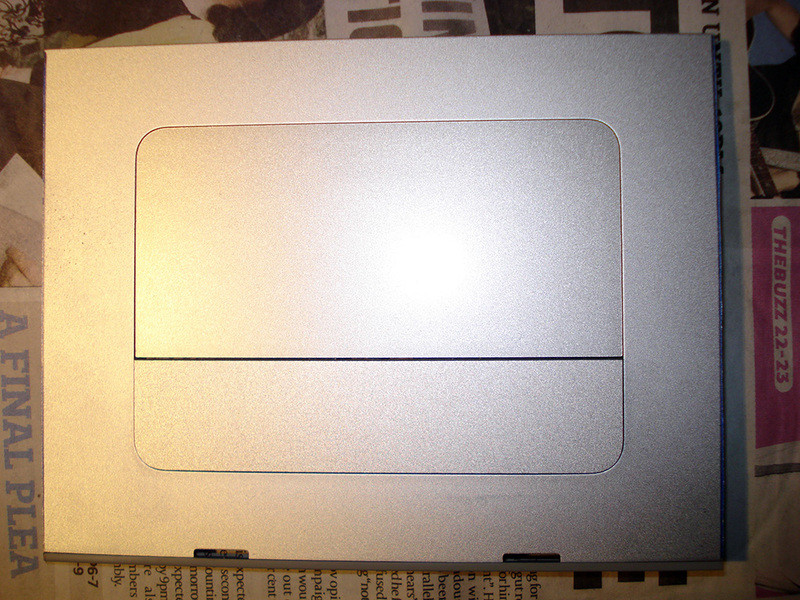 The reason he changed it is the trackpad button wasn’t clicking anymore. This was the perfect opportunity for me to try converting the top case into an external multi-touch trackpad! 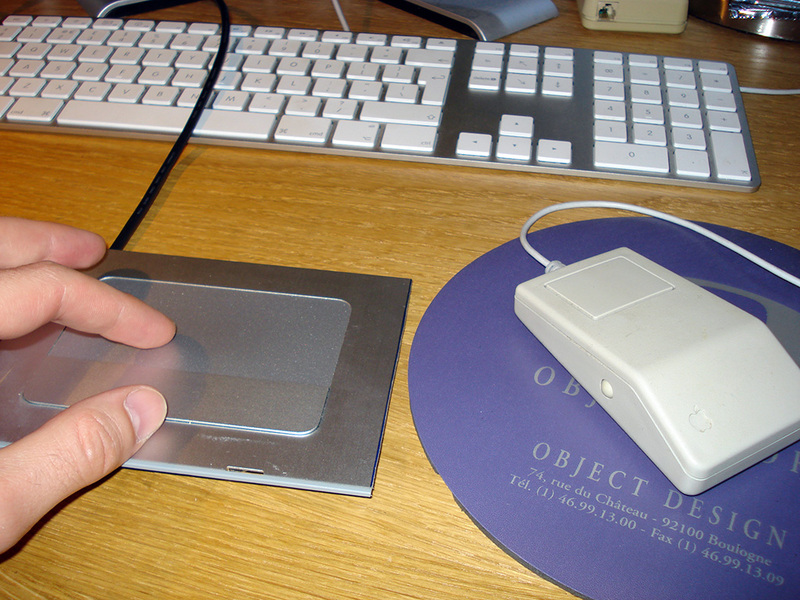 Up to February 2005, Apple laptops’ keyboard and trackpad where still using ADB. 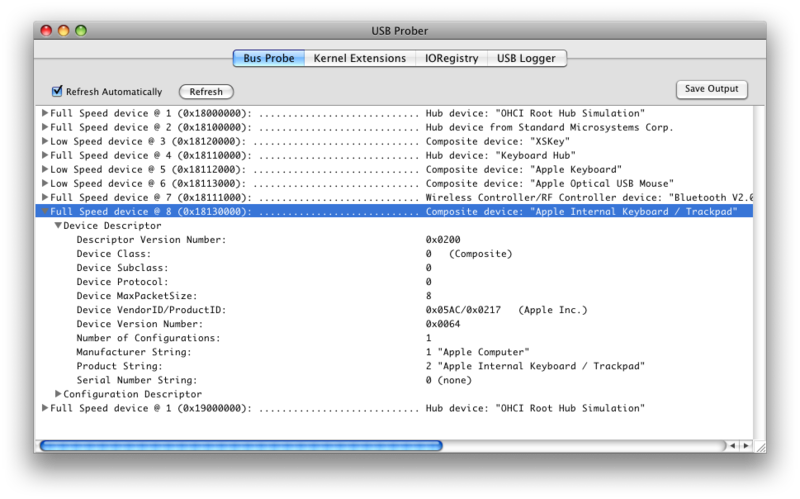 Since the top case I had in my hand was coming from a Macbook pro, I presumed the is trackpad would be connected to the main board using an USB bus. 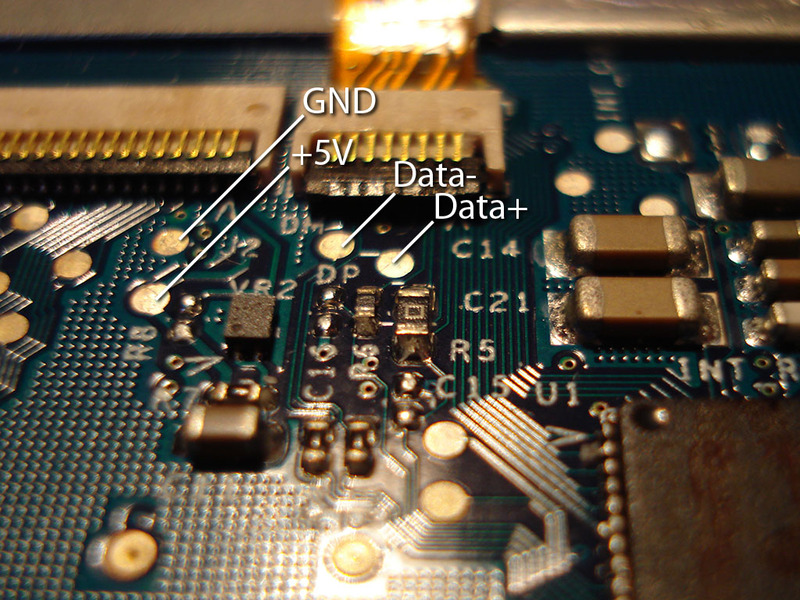 The challenge was to guess the pin out of USB connection on the trackpad and, given the size of the connections on the board, manage to solder the 4 wires required for USB connections on the board. Back to the problem a few weeks later, I realised there were testing points on the board that are used on the production chains to make sure manufactured boards are functional. 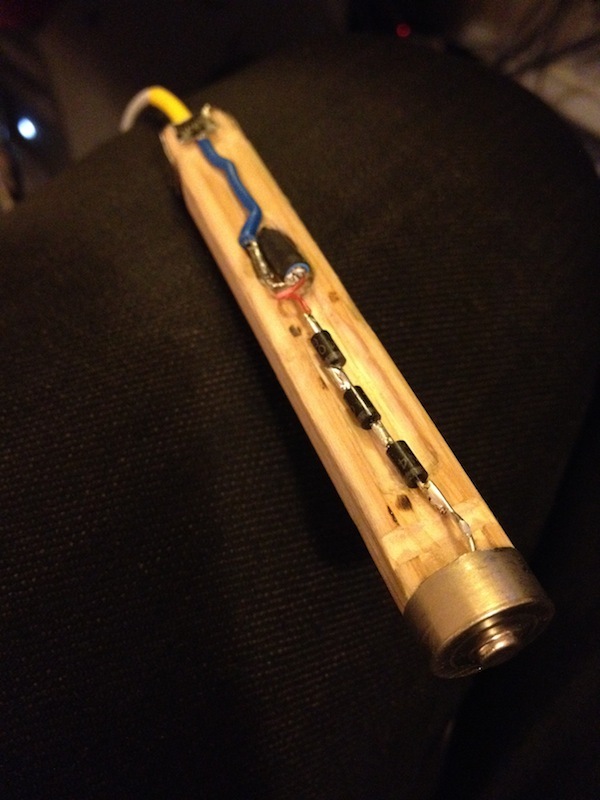 These test points would allow me to solder the wires of my USB cable! On the right side are four pictures showing the pin-out for the USB connections on the board and how I soldered small wires to the test points and tested the board. 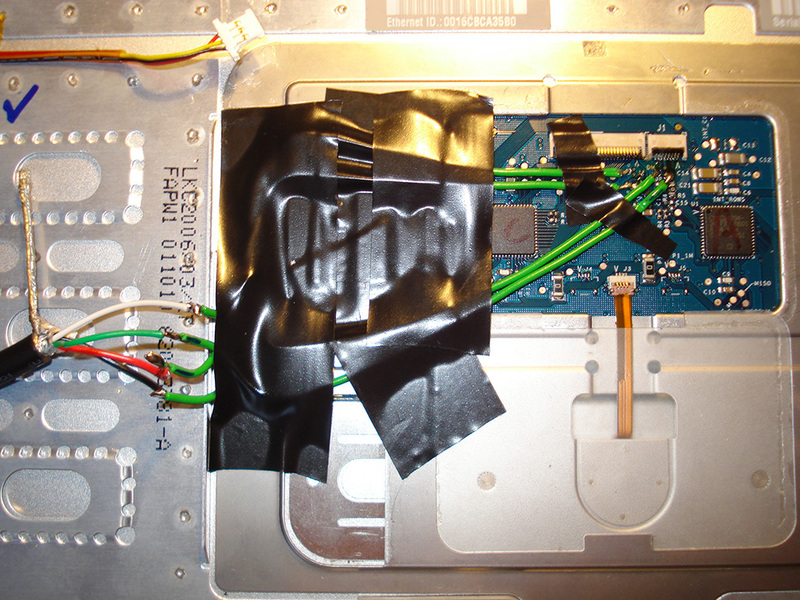 As you can see I melted the some of the plastic connector whilst soldering. It is so tiny it’s really easy to do some real damage. 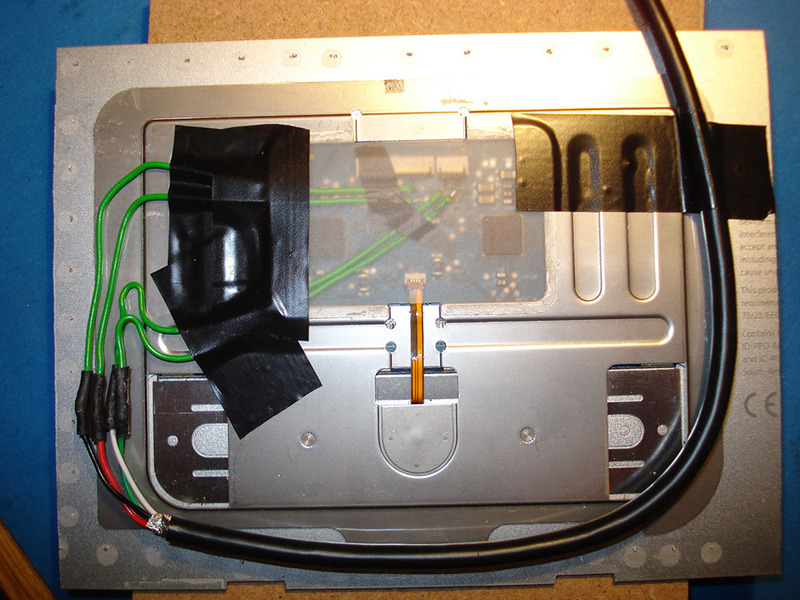 Once I got the trackpad working I cut the top-case in order to isolate the trackpad and have it nice and compact, standing next to my keyboard. The trackpad works a treat (apart from the button that doesn’t click but it was this way to start with) and it’s great to be able to use the two-finger scroll and tap functions! The text step would be to make a nice housing for it because at the moment it’s impossible to have the trackpad sat still on the desk, not to mention the back of it isn’t protected, which isn’t very reassuring.